Two foreign nationals suspected of being connected to the killing of 39 people on New Year’s night in Istanbul, Turkey have been detained at Istanbul’s Ataturk international airport, Turkish media reported. The two were taken into custody at the airport’s international flights terminal, Anadolu Agency said, adding that the pair’s cell phones and luggage had been checked before they were taken to Istanbul’s main police headquarters. No information on their nationalities was available. The recently reported arrests bring the total number of apprehended suspects to fourteen. Earlier on Tuesday, the Turkish media reported that twelve people had been detained as part of the ongoing manhunt. Turkish police are “close” to identifying the man behind the Reina nightclub massacre in Istanbul, Turkish state broadcaster TRT World reported earlier in the day. Initial indications suggest the attacker may be from Uzbekistan, Kyrgyzstan, or even the Xinjiang autonomous region of northwest China, the report said, citing police. Kyrgyzstan’s national security committee is checking into information that could indicate a possible connection of one of its citizens to the Istanbul attack, its spokesman told RIA Novosti, adding that an official request has been submitted to the Turkish authorities regarding the case. Representatives of the Kyrgyz embassy in Ankara told Interfax that they had also submitted an inquiry to Turkish officials and law enforcement, but had so far received no confirmation that a Kyrgyz citizen is wanted in connection with the nightclub massacre. 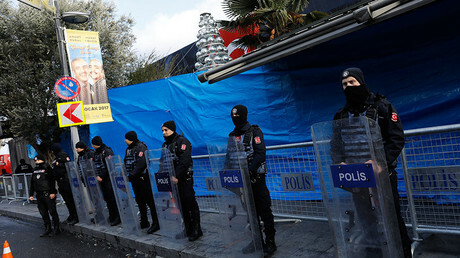 A woman said to be the gunman’s wife is among those that have been detained suspected of being connected to the terrorist act, Dogan news agency said. The woman and her suspected husband arrived in Turkey from Kyrgyzstan in late November of last year with two children, Turkish Hurriyet reported, citing IHA news agency. According to the report, the woman learned about the attack and her husband’s alleged involvement from TV reports. She was quoted as saying that she had no idea her husband was involved with Islamic State (IS, formerly ISIS/ISIL). Meanwhile, security experts who studied the CCTV recorded footage of the rampage at the high-end nightclub, said the attacker “looked like a professional who received military training,” Hurriyet Daily reported. Citing anti-terrorist expert Abdullah Agar, the Turkish newspaper said the gunman was “determined” and “knew how to get results.” “He had no hesitation in shooting at innocent people. He is absolutely a killer and he most probably shot at humans before,” Agar told the media. Saying that the attacker had mostly aimed at people’s upper bodies, Hurriyet cited investigators as saying that six clips had been used over the course of the attack, with over 180 bullets being fired in total, few of which failed to hit their targets. An AK-47 Kalashnikov rifle was reportedly used in the shooting, and bullets mainly hit the victims in their heads, chests, and backs, Hurriyet said, citing autopsy results. Many were shot more than once, the report suggested, saying that the gunman shot those already injured as they were lying on the ground. On Tuesday, Turkish authorities confirmed the identities of 38 people killed in the attack, Hurriyet Daily reported, saying that one victim’s identity remains unconfirmed. Twenty-five foreign citizens were killed at the nightclub, including seven Saudis, three Lebanese, two Tunisians, two Indians, two Moroccans, two Jordanians, two Iraqis, one Kuwaiti, one Canadian, one Israeli, one Syrian, and one Russian. 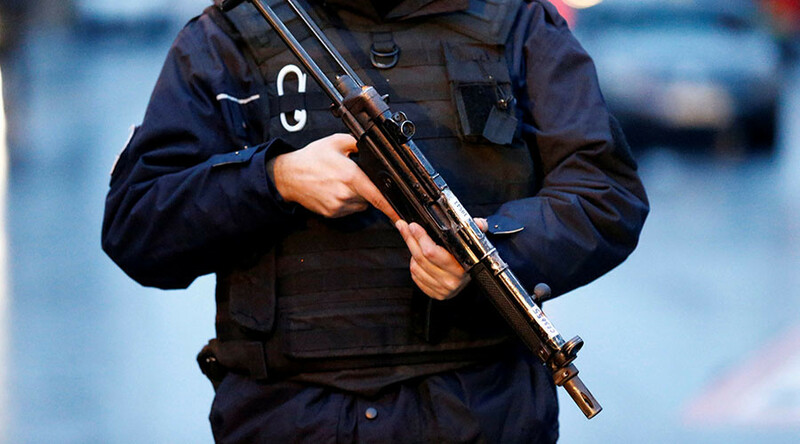 One victim was identified as a Turkish-Belgian dual citizen. Several coffins were repatriated to countries including Lebanon and Saudi Arabia overnight, AFP reported. The attacker killed 25 men and 14 women, and nearly 70 more people were injured. The whereabouts of the gunman who cold-bloodedly carried out the terrorist attack remains unknown. According to the Turkish media, he is still at large. There have been unconfirmed reports that the terrorist may have injured himself in order to escape the nightclub unnoticed among the terrified people. That information is being assessed, Hurriyet said. Meanwhile, various images believed to be of the alleged attacker have been circulating on social media. Among them is a video believed to have been recorded of the suspect himself near Taksim Square in central Istanbul and an image of the passport of a Kyrgyz citizen. While it is not clear how the selfie footage was obtained, the passport holder has already addressed the media, saying he had nothing to do with the attack. Iakhe Mashrapov, a 28-year-old man from Kyrgyzstan, told AKIpress that he had been questioned both by Kyrgyz and Turkish authorities, as he was believed “to look like the suspect from the released images.” He added that he had not been in Turkey on the night of the attack, and that the Turkish authorities had already apologized to him for mistakenly taking him off his flight to the Kyrgyz capital of Bishkek. On Monday, another man whose images have been circulating on Turkish media and online, with claims that they are of the perpetrator, came to a police station with his lawyer to file a legal complaint. Ramazan Isan, who is originally from Kazakhstan, said he was in Turkey for work and had nothing to do with the attack, Turkish media reported.